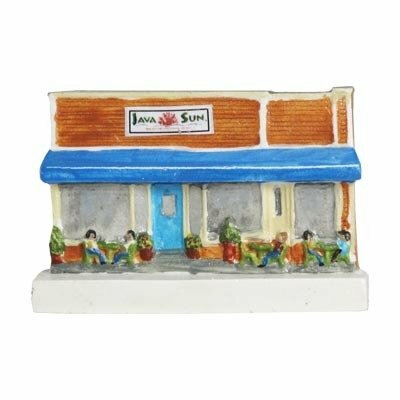 Java Sun is a favorite spot for coffee and a nosh in the morning. The baked goods are all house made and are scrumptious! VillageScape miniatures are made of bonded marble dust, individually cast and hand-painted, and can be considered true works of art.